2nd Quarter GDP Falls Better Than Expected 1% - The Commerce Department reported the second quarter preliminary GDP this morning. According to the report, economy contracted at a much smaller rate than in the past six months. Real GDP fell at a 1.0% annualized rate in the second quarter, compared with an average 5.9% drop over the past two quarters. The good news was a reported much smaller decrease in business investment, exports and inventories. There was also an upturn in federal and state government spending. **** Note - This was the fourth straight quarter with a contraction in GDP - the first time since records started being kept in 1947. Employment Costs Grow at Record Slow Pace - The Labor Department reported on Friday that the cost to employers for workers has risen at a record slow pace. This means that employers have kept compensation costs down (thus helps to control reduced inflation). The employment cost index rose 0.4% for all civilian workers in the second quarter, slightly more than the 0.3% in the first quarter. In the past year, employment costs are up 1.8%, the slowest increase since the government began tracking the data in 1980. For workers in the private-sector, employment costs rose 0.2% in the second quarter. In the past year, private-sector compensation rose 1.5%, the smallest gain on record. Chicago PMI Rises - The Chicago purchasing managers index (PMI) rose to 43.4% in July from 39.9% in June, according to a survey of corporate purchasing managers released Friday. The index has been improving since hitting an all-time low in March. Four of seven sub-components advanced during the month. The Chicago PMI is considered a leading indicator to the national Institute for Supply Management (ISM) manufacturers' survey to be released on Monday. UBS, US Come to an Agreement - Swiss bank UBS has finally come to an agreement in principle with US authorities over an attempt to get the bank to disclose the details of around 52,000 U.S. clients, according to a Wall Street Journal report. The report said Stuart Gibson, a Justice Department tax division attorney, told Judge Alan Gold of the development on a conference call, but did not provide further details of the settlement. A hearing scheduled for Monday in Miami has been rescheduled for Aug. 7 when more details are likely to be released. The IRS has demanded the identities of the account holders, but UBS and the Swiss government have both said releasing the information would violate Swiss laws. Jobless Claims Rise and Continuing Claims Fall - The Labor Department reported initial weekly jobless claims rose by 25,000 to a seasonally adjusted 584,000 last week. The rise was expected by economists. The four-week average of claims fell by 8,250 to 559,000, and continuing jobless claims also dropped, by 54,000 to 6.19 million. The four-week average of continuing claims fell by 131,750 to 6.41 million. IMF Sees Signs of Improvement in Europe - The euro zone remains in recession but is showing some "tentative signs of improvement" amid an "uncertain" outlook, the International Monetary Fund (IMF) said Thursday. IMF staff cautioned against a premature withdrawal of fiscal stimulus measures. ECB policy makers and IMF staff agreed that monetary policy "has to maintain a supportive stance," the report said. IMF staff urged the ECB to keep rates low and argued that "all unconventional measures would need to remain under consideration to deal with the risk of protracted deflation." MasterCard Makes a Profit - MasterCard reported a second-quarter profit of $349 million ($2.67 a share) versus last year with a loss of $747 million ($5.70). MasterCard added that net revenues rose to $1.28 billion, from $1.25 billion. Both revenue and profit exceeded analysts estimates of $1.25 billion in revenue and $2.42 a share. Kellogg's Profits Rise - Kellogg reported its earning on Thursday to tune of $354 million (92 cents a share) versus last year at $312 million (82 cents). Analysts had been expecting 83 cents. Revenue did come in a little short at $3.2 billion compared to $3.3 billion ($3.3 billion was last year's revenue also). Microsoft and Yahoo Complete Search Deal - After a long road and numerous breaks, Microsoft and Yahoo finally came to an agreement on a 10-year deal that will use Microsoft's Bing search engine to power search queries on Yahoo's sites and Yahoo's sales force to sell premium advertising based on search terms for both companies. Many analysts and investors had wanted Yahoo to receive a large upfront cash payment, but according to statements from Yahoo CEO Carol Bartz, the revenue share agreement in the Microsoft deal was more valuable to Yahoo than a one-time payment. "Having a big up-front cash payment doesn't really help us from an operating standpoint," Bartz said in a conference call with Microsoft CEO Steve Ballmer. Microsoft will compensate Yahoo through a revenue-sharing agreement that pays Yahoo at an initial rate of 88% of search revenue generated on Yahoo sites in the first five years. Yahoo estimated the deal will boost its annual operating income by about $500 million and yield capital expenditure savings of $200 million. Yahoo also expects the deal to boost annual operating cash flow by about $275 million. Fed Buys Treasurys - The Federal Reserve Bank bought $2.999 billion in longer term Treasurys (maturing 2021-2026) on Wednesday. Dealers submitted $11.707 billion to the central bank to buy. The amount purchased was the same as at the Fed's last buyback in the same maturity range. Oil Drops on Supply Data - Oil futures fell roughly 4% to around $64.50 a barrel Wednesday after the EIA reported crude supplies rose by 5.1 million barrels last week versus the estimated 1.1 million barrels expected by analysts. The EIA also reported that total motor gasoline inventories decreased by 2.3 million barrels last week and distillate supplies rose by 2.1 million barrels. Gold Falls on Lack on Inflation - Gold fell Tuesday for the second day in a row as crude oil declined after data showed a rise in inventories thus reducing the fear of inflation and gold's appeal. A stronger dollar also weighed on dollar-denominated gold prices. June Durable Goods Orders Fall - The Commerce Department reported on Wednesday that durable goods orders fell 2.5% on weaker demand for autos, airplanes, and computers. The drop was larger than expected and followed two months of gains. Excluding the 12.8% decrease in transportation goods, orders rose 1.1%. Orders in May were revised lower to a gain of 1.3% from the previous estimate of a rise of 1.8%. Inventories were down 0.9%. Home Prices Rise for the First Time in Almost Three Years - According to the national Case-Shiller home price index, home prices in 20 selected cities rose 0.5% in May (month over month) with gains in 13 cities. This marked the the first monthly increase since July 2006. David Blitzer, chairman of the index committee for Standard & Poor's which compiles the Case-Shiller index, was quoted as saying that "This could be an indication that home price declines are finally stabilizing." On a year-to-year basis, prices in 20 selected cities fell 17.1%. This is a slower pace of decline than the 18.1% drop in April. 'Strict Position Limits in the Energy (Futures) Market' - The Commodity Futures Trading Commission (CFTC) Chairman Gary Gensler said Tuesday the futures market regulator "must seriously consider setting strict position limits in the energy market." Gensler, making comments in an opening statement of a CFTC hearing, said the hearing is to determine how position limits could be used to address excessive speculation, not "how we can eliminate speculation." He emphasized the importance of speculators to the "effective operation of futures markets." Consumer Confidence Falls in July - The Conference Board reported this morning that the consumer confidence index fell in July for the second straight month. The index now stands at 46.6, down from 49.3 in June. Big Spenders Tend to Marry Big Savers, Researchers Find - By Kristina Cook - Reuters - "They found that people who generally spend less than they would ideally like to spend, and those who spend more than they would like to tend to marry each other." Offshore Wind Could Be Next Wave for U.S. - By Scott Malone - Reuters - "The Cape Cod resort area, famous for sandy beaches and centuries-old fishing villages, could in the next few years claim a new title of home to the United States' first offshore wind farm." New Home Sales Rise 11% - The Commerce Department on Monday had a surprise waiting... they reported sales of new homes jumped 11% in June to a seasonally adjusted annual rate of 384,000. This was the largest increase since November 2008. Estimates had been for a rate of 355,000 sales. New home sales are still down by about 21%, but the increase in sales was a good sign. China to Grow 8.7% - On Monday morning, Merrill Lynch increased its expectation of China's economic growth rate for 2009 to 8.7% versus the previous estimate of 8.0%. Merrill expects China's economy to grow 9.2% in the third quarter and 11.3% in the fourth quarter. It also raised next year's growth rate to 10.1% from 9.6%. Gasoline Prices Move Up on Increased Optimism - Gasoline prices had been moving lower, but this week the national average turned up. The AAA Daily Fuel Gauge Report showed the national average being $2.50 versus last week's $2.47, last month's $2.65, and last year's $3.97. This week proved to be another excellent one for investors. We are now seeing a great deal of investors who are trying to get invested before the market gets too high. I must’ve heard a hundred times in the recent financial news that too many investors have missed this rally, so now people are trying to get on the train before it leaves the station. Many of our clients listened to our suggestions and allowed us to get them comfortably seated on that train as the year has progressed. For this week alone, each of the major market indices is up about 4%. Given the overwhelmingly negative news provided by the media, who would’ve thought that the major market indices would be up so positively in this week alone? For the year thus far, the Dow Jones Industrial Average is up 5.65%, the NASDAQ Composite is up 24.66%, and the S&P 500 is up 10.02%. If the financial year came to a close right now this would represent excellent returns for 2009, but we still have a little less than half a year to go. Most of the gains we are enjoying at the current time are not due to the financial results of the companies being all that extraordinary. While it’s true that every major company has beaten their anticipated financial results, it’s also true that for the first time in a long time, companies actually have visibility into the future. However, do not lose sight of the fact that earnings are still dismal as compared to normal earnings in prior years. I have often written that the stock market did not need for the economy to get better before starting to improve. The stock market is only interested in seeing the economy quit going down before it begins improving. At the current time, the economy seems to have stabilized, and virtually all economists are forecasting better days to come. By the year 2010, the United States’ annualized GDP growth rate should return to normal levels. There’s a great deal of chagrin by the financial press that many of the largest U.S. companies are making their anticipated earnings for this quarter, but are failing when it comes to their gross revenues. The analysts seem to be uncomfortable with a company making its profitability numbers by cutting costs without having the anticipated revenues due to the recession. This attitude is simply not supported by the facts. Corporations anticipated a downturn and dramatically reduced their costs. This has allowed them to make their projected profits at the disappointment (and in some cases, unemployment) of many of their employees. U.S. corporations are now “lean and mean” and are ready for improved gross revenues. If the corporations in this quarter are doing so well on lower than anticipated gross revenues, can you even imagine what types of profits they will realize with these reduced costs and normalized gross revenues? I think we should expect significantly higher profits in 2010. I know that my readers get tired of me telling them it’s a good time to invest. I have been saying that fairly consistently since the beginning of 2009. 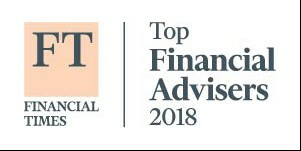 Given the excellent returns that we have enjoyed so far for 2009, and with a reasonable expectation of better returns in the future, you can see why I continue to encourage you to invest in your future. While I cannot promise that your investments will do nothing but go straight upward from here, I do believe that over the next decade, you will have above average rates of return, especially in light of last year’s negative results. At the risk of sounding like a broken record, if you have not made your IRA investment for 2009 or contributed to your child’s 529 plan, now is an excellent time to do so. When I was a relatively young man, I took a job working in the accounting department of an international construction company that built elevated water tanks. I’ve written about my experiences at this job in the past, but current events have made me reflect on some of the lessons I learned from the elders at that company. Mr. Elliott Brown, Sr., was barely 5’8” tall, but he had the reputation of being the toughest man in the tank building crew. He boasted – and I never heard anyone challenge him – that he could easily beat-up any other man on the crew, regardless of size. He was a true self-made man who began working in the yard of the old R.D. Cole Manufacturing Company in Newnan. After Mr. Brown became disenfranchised with the R.D. Cole way of doing things, he opened his own manufacturing company in his backyard in direct competition with R.D. Cole. Even though he had virtually no education, he was street smart. Building elevated water tanks requires significant engineering support, of which he had little. He simply knew how to work hard and who the right people were who he could hire to help him. Slowly but surely he gained respect; and some time later, he purchased his former employer, the R.D. Cole Manufacturing Company. He lived in a 1,000-square foot house right next to the manufacturing plant until his death. Mr. Brown was an interesting man, and late in life he wrote two books regarding tank building. He told me that he self-published the books because he didn’t think he’d live long enough to see them published by a company, and he was probably right. I’ve read both books and find them extraordinarily entertaining and insightful. They reflect a true American entrepreneurial spirit and the hardships of steel construction on the road. Late in his life, Mr. Brown had a tendency to drink too much and oftentimes he would show up at the office in the middle of the day wearing his bathrobe with the smell of Listerine on his breath in an effort to cover up the smell of alcohol. All of us were amused when he would enter the office at lunchtime wearing his bathrobe, reeking of Listerine. Mr. Brown would sometimes come into my office to discuss whatever was on his mind. These conversations would often go on for over an hour, but I would continue doing my work and let him ramble on. He seemed to be perfectly satisfied discussing issues whether anyone was listening or not. I was sad when he passed away years later, as I learned a great deal about business from Mr. Brown. The other thing that amused me about Mr. Brown and his frugalness was his inability to throw anything away. He was known to have kept every piece of equipment he ever purchased, well beyond its usefulness to the company. If I approached him about a capital acquisition and explained that someone in the company really wanted this piece of equipment, he would say, “Don’t let your wants get to hurtin’ you too bad.” At the time, his comments were very frustrating. But when I look at them through today’s eyes, I see the significance and importance of simply slowing down, taking a deep breath and thinking through your actions. The current economic environment often reminds me of Mr. Brown. Wanting a “better” health care program will probably make us all go broke. Maybe it’s time for us to not let our wants get to hurtin’ us too bad. And so, I’ve been reflecting on some of the posts I’ve written over the last year to see what updated information I can provide to you. 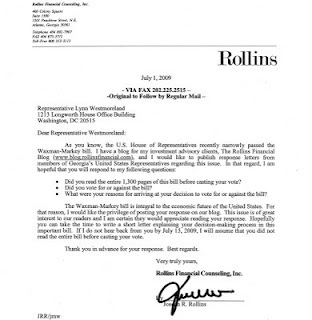 On September 24, 2008, I posted that the TARP plan proposed by Congress was not a bail-out (This is NOT a Bailout!!). At that time, I said that contrary to what you read in the media, the TARP was not designed to be a bail-out. Rather, it was a loan to let the banks get back on even-footing. I indicated back then that it was highly likely that the Treasury would get back the money from the TARP, and they would also probably make a profit. An update of the current information supports my forecast from last September. You may recall that the original TARP proposal was in excess of $700 billion. The intent was to buy toxic assets from the banks that later became an investment tool to buy the preferred stocks of those banks. Some people may not recall that the second half of the TARP ($350 billion) was never even utilized. The original numbers on the TARP were that only $204 billion was ever utilized to support the banks. There was another $100 billion that was put into AIG and to General Motors and Chrysler. These amounts were never authorized by Congress and never had anything to do with the original TARP act. They were simply used on an emergency basis to essentially nationalize those three companies. However, as it relates to the TARP itself, the numbers are overwhelmingly positive. To this point, of the original $204 billion loans to banks, $70 billion has already been repaid to the Treasury. As of today, there is only $134 billion still outstanding from the related banks. Of this amount, $80 billion of it is to two financial institutions alone – Citigroup in New York and Bank of America in Charlotte, North Carolina. It appears now that the Treasury will recover every dime of this money. As such, to classify it as a “bail-out” was absurd, even though the majority of the public still believes to this day that the government bailed out Wall Street. Now you know the real story. I even argued in that post that the Treasury would likely make money from this transaction. As of the end of May, which is the most recent record available on the government’s website, almost $6 billion has been repaid to the Treasury in the form of dividends by these banks. In addition to the above, many of the banks have bought out their warrants that were issued in connection with these equity offerings. In fact, Goldman Sachs agreed to purchase on Wednesday of this week their warrants for an amount in excess of $1 billion. The Treasury has absolutely no cost on investment in these warrants, and this amount is all profit. Also on Wednesday, BB&T announced that they will repurchase their warrants this quarter for $67 million. I think we will see many more banks repurchasing their warrants and paying off their loans to the Treasury, which should offer a significant windfall to the taxpayers. Given that the bonds were issued to purchase these equity investments at a cost of approximately 1% per annum, the Treasury has so far enjoyed an enormous profit on these transactions. If you would like to look at the official government website of these amounts, please follow this link to review the spreadsheets that are updated regularly - FinancialStability.gov. I’ve written many times about the 3-month Libor rate (View all of my posts mentioning the Libor rate). You may recall that I discussed the chaotic nature of the 3-month Libor interbank rate and the obstacles that rate causes other banks. Essentially, this is the rate at which banks loan money to one another. Since there was such a high level of pessimism among the banks that any other bank could repay their loans, the Libor rate skyrocketed to well over 5% at the height of the crisis in the 4th quarter of 2008. Here we are today, not even one year later, and the 3-month Libor rate has dropped to 0.5% per item. In fact, the 3-month Libor rate and the general credit spreads in the debts markets are lower today than when Lehman Brothers declared bankruptcy. You may recall that Lehman Brothers bankruptcy was the catalyst that kicked off the worldwide credit scare. Credit spreads are defined as where interest rates are in respect to risk to the underlying securities. As the credit spreads widen, it signals a healthy debt market. Today those credit spreads are as wide as they have ever been, signifying normalization of credit conditions. In fact, I went back and checked to see where the NASDAQ Composite was when the credit spreads were as good as they are today. At that time, the S&P 500 Index was trading at 1,250. If it were to maintain that level today, that would be an upward move in stocks of approximately 30% from where it is trading as I write this post. Because of all the publicity the health care reform has received, I have been reading more on the subject. It is really a scary time where the White House and Congress are trying to ram through legislation that will ultimately transform America as we know it today. There is absolutely no question that health care reform is needed, but a nationalization of the health care industry is not in any American’s best interest. I thought maybe I was swimming upstream on this matter until – to my amazement – I read The New York Times on Wednesday and noticed that they are also skeptical of the White House’s proposal - Challenge to Health Bill: Selling Reform - By David Leonhardt. What I found especially interesting in that article is that 90% of voters already have insurance. Therefore, it’s natural for those who already have insurance that they are happy with to be skeptical and wonder why they’d want to approve such an overwhelming change in the system that could dramatically increase taxes and make fewer prospects for employment in the United States. “In recent weeks, polls have shown that a solid majority of Americans support the stated goals of health reform. Most want the uninsured to be covered and want the option of a government-run insurance plan. Yet the polls also show that people are worried about the package emerging from Congress. When The New York Times questions whether this bill is appropriate or not, the liberal community needs to take notice. The New York Times has never been known for its conservative thinking – when they question liberal goals on health care reform, it will hopefully make everyone sit back and give it some additional thought. The more that comes out about this plan, the more devastating it would appear to be to small businesses. I keep coming across things that absolutely “blow me away” when I think about how it would affect my clients. One of the provisions in the bill is that you can maintain your current medical plan, but it would come under the scrutiny of the new government-supported decision makers on medicine. Therefore, it’s clear to experts that all the plans would eventually offer the same benefits but the private companies wouldn’t be able to compete in price with the public option, which will be supported by your taxes. For that reason alone, private employers would opt for the smaller premiums, and in short order, there would only be one medical plan in America. As detailed in the proposed bill, there are too many penalties for employers to continue to offer medical insurance to their employees. This is the reason the government plan will be the only survivor. For example, an employer would be required to pay an 8% premium on all employees they do not provide medical insurance coverage. Interestingly, this would include employees that elected not to participate. Therefore, if the employee elected not to participate, he would get his insurance provided for free at the full expense of the employer. What is even more interesting is that the employer would still have to pay an 8% premium even if an employee is covered under someone else’s plan (like their spouse’s). Clearly, employees will quickly figure out the cheapest form of insurance and employers will choose the government plan since it would be cheaper. Additionally, there would be a burdensome reimbursement rate for employers. Under the House’s plan, businesses would be required to pay 72.5% of an employee’s coverage. My suspicion is that most employers do that anyway, but the biggest change is that employers would be required to pay 65% for family coverage. It is uncommon for businesses to pay for family coverage, much less at a 65% level. This one change alone will dramatically increase the cost to employers, forcing employees off private insurance programs and into the public plan in order to obtain family coverage. Even though most people are not covered by self-funded plans like those offered by big businesses, there is still a high percentage of employees in the United States who are covered by self-funded plans. Essentially, this bill will mandate that those plans will cease to exist, and therefore, the benefits of self-funding the plan with no administrative costs will go away. As incredible as it may seem, the bill also opens the door for attorneys to sue any self-funded plans that do not currently exist. As a clear payback to the trial attorneys, this bill opens up the door for further costs of the system in frivolous litigation. Costs going down? The public is not this dumb! I don’t know about you, but if The New York Times and The Wall Street Journal are both saying we need to take a closer look at this matter, I think we’d be naïve to ignore their warnings. Let’s slow down and review this matter. In my post of July 16, 2009 (Follow Up on the Cap and Tax Bill), I told you about my letters to the Georgia Congressmen regarding the Cap-and-Trade bill. If you recall, I asked each of them if they had actually read the 1,300 pages of this bill before they voted on it. As of today’s date, I’ve received only one response – from Representative Westmoreland who admitted that he hadn’t read the bill himself, but that he had voted against it. The other Georgia Congressmen have elected to ignore my letter, which presumably means they didn’t read the bill, either. I think we should take a clue from this lack of response. Any representative who doesn’t read a bill prior to voting on it doesn’t deserve another vote of confidence from their constituents. Interestingly, the health care reform bill also runs over 1,000 pages. Almost every day, I read where 20 to 30 pages of this bill are undergoing amendments. I read yesterday that in the House Finance Committee, there are more than 160 amendments to the existing bill that have yet to be addressed. Given what I have discovered on how many of our representatives actually read the cap-and-trade bill, I wonder how many people have read the 1,000 pages of the health care reform bill. I think it would be useful for all concerned taxpayers to contact their representatives and ask them if they have read the Cap-and-Trade bill in its entirety that was passed by the House and the 1,000-page Health Reform Act being considered by the House. Remember that President Obama’s original deadline for approval on this bill is in only one week. I dare say that if it’s approved in that period of time, none of our respected members of Congress will have read the proposed act. The Cap-and-Trade bill has lost a lot of its momentum in recent weeks and has yet to even be considered by the Senate. It’s likely at this point that if the bill is considered by the Senate, it will be dramatically altered, if not completely destroyed. What is even more interesting in the bill is that President Obama’s EPA administrator now admits that the law would have virtually no impact on the climate. It would seem to me that the bill was sold on the premise that it would have a major effect on the environment in its operation. What we now know is that it’s really only for the purpose of raising money and the bill itself has no environmental effect. Everyone agrees that we need to move towards a cleaner environment, but the last way we need to move there is by overtaxing businesses that employ Americans on a daily basis. Rather than create a tremendous bureaucracy to tax carbon emissions, why not just add a simple tax to the gasoline tax? If there was a $0.20 tax attached to the sale of fuel that was separately allocated to environmental causes only, it would be much more focused and useful. Everyone would see the tax and know how the money was spent. Yes, it’s true that this is a regressive tax in that it taxes the rich and poor in the same manner, but it taxes based on your usage of gas, which is the correct way to tax. The money received from this tax could be used to convert vehicles to run on natural gas. Natural gas is emissions-free, and there’s enough natural gas in the United States to provide for every car running in America today. It would be such a simple and easy transition automobiles that run today on gasoline to natural gas over time. The government would sponsor and provide natural gas fueling areas convenient to the cities and give tax incentives for taxpayers to convert their automobiles. Perhaps this idea is too simple that it defies logic. It is now clear that the $743 billion stimulus bill was an absolute failure to this point. It was promised that this money would be spent on shovel-ready projects and would be immediately put into the economy. To date, the economy has lost two million jobs since its passage and only 10% of the money has even been spent. The administration now projects that the impact of the stimulus bill will not be felt until the end of 2010. That may be exactly the opposite of what we were told during the debate – that the money would be immediately placed into the economy to provide jobs. There are ways that this could be fixed almost overnight. By reallocating some of the remaining stimulus money to fund federal highway construction, you could put that money into the economy almost overnight. The current gas tax fund is out of money, and therefore, private projects are not being funded. By using $30 billion to $50 billion of the remaining stimulus money, we could fund those jobs that have been delayed due to a lack of federal money. These projects are truly “shovel ready” and would not take two years to begin. Additionally, there could be a FICA tax holiday for both businesses and employees for 90 days. By eliminating the FICA tax on both employers and employees, one-quarter of a trillion dollars could be put into the economy is only 90 days. This would be a 7.5% raise for each employee and employer for a short period of time. By virtue of such a simple provision, you could put more money into the economy in a shorter period of time than the stimulus bill has spent so far. During Christmas, it would help retail sales and increase employment immediately – not in the future. It would also be a nice holiday present for all working Americans. The provisions related to the remaining stimulus money could be pared back to accommodate this request without spending more money. You wouldn’t need the constant Congress bickering about its own little private projects that do not create jobs, and you would put an instant and immediate charge into the economy that would benefit all Americans. I guess this is just too simple, and therefore, it will not work. Since it does not add to government earmarks, it’s unlikely that our corrupt Congress will ever even consider such a simple plan. Health care reform will take longer to achieve. I am often asked by clients why the doctor groups endorsed the bill if it’s so bad. Quite simply, they were bought off in the proposal. Doctor reimbursements under Medicare go up 5% under the new bill. Essentially, they traded out their support for higher reimbursements. Similarly, the pharmaceutical companies and the hospitals have traded out not for higher reimbursements, but so they would not have catastrophic reductions. Essentially, both agreed to lower reimbursements in order to block out the potential for something quite worse. The more I get to thinking about the numbers, the more I question why we’re going through so much trouble. If there are 47 million Americans not covered under a medical plan today, that doesn’t mean that they don’t receive medical care – they’re just not covered under a plan. As you well know, any sick person that enters an emergency room in the United States is required by law to be seen, whether or not they have insurance. 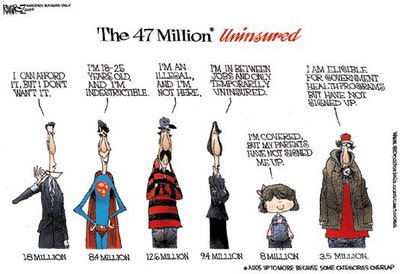 Of the 47 million uninsured, 10 million are illegal immigrants. The true number of uninsured American citizens borders on 35 million. A great number of these individuals can be covered under other plans, but they have elected not to be covered. Essentially, of the U.S. population of over 300 million, only 10% of the population is uninsured. We as a country certainly need to do something to cover these people, but in a manner that doesn’t break the bank for taxpayers. I always find it interesting that the poor go to the emergency room for care regardless of how minor the injury. Emergency care is the most expensive medical care in America due to the highly sophisticated nature of that care. All the government has to do is develop clinics for routine care instead of making emergency rooms be the sole providers for the uninsured. The main concern is catastrophic conditions that would essentially bankrupt the individual. It would not cost that much money for the government to basically develop a catastrophic universal policy that would be a safeguard for all Americans for large medical expenditures. Everyone is now talking about how this medical care reform bill will affect Medicare. Quite frankly, there is a simple and swift solution to the exploding Medicare costs that should be addressed immediately. When it comes to Medicare, one of the principal fixes would be for higher income individuals to pay more for the cost of Medicare. There’s a deal currently in the works, and I have clients who are seeing their premiums increase. However, it’s not effective and not universally applied to those who could afford to pay for Medicare if they so elected. Additionally, many people on Medicare have private policies that overlap, and therefore, create duplication. A simple fix would require potential recipients to choose one or the other, but not both. The simplest fix for Medicare and Social Security is to increase the age limits for coverage. While younger people cannot collect full Social Security until age 67, the age for collecting full Medicare benefits is 65. If the government began increasing that age today, it could be moved to age 70 without affecting anyone over the age of 40. This would dramatically reduce the actual cost of servicing the younger generations with a Medicare plan that has no funding and only gets its funding from employees who are currently working. Since young people are a long time away from collecting Social Security, I highly doubt they’d object to such a change. With the length of this post, I’m sure I’ve lost most of my readers already. I could give you many more “KISS” solutions to governmental issues. One thing I always scratch my head about is the issue concerning balancing the federal budget. When the State of Georgia cannot balance the budget, the Governor requires each department to cut their budgets enough of a percentage to balance the current budget. It’s not pick and choose an expenditure; it’s cutting all expenses by whatever percentage necessary. With the current deficits projected under the Obama Administration at approximately $2 trillion per year, then every federal department would have to cut their budget by 50%. The government receives $2 trillion a year in revenues, but spends $4 trillion. I cannot tell you one more bullish move that the federal government could make today to improve the U.S. economy and the financial status of the United States in world economics than cutting the size of government by 50% overnight. As always, the above are my opinions, thoughts and observations. Of course, I could always be wrong. Consumer Sentiment Rises Against Early July - The University of Michigan and Reuters reported Friday morning that US consumer sentiment rose in late July to 66.0 versus an early July reading of 64.6. Most economists had been predicting a reading of 65.5. That is the good news. The bad news is that the figure was still down from 70.8 June reading. Ingersoll-Rand - 'very, very reliable early indicator of a pending economic recovery' - Ingersoll-Rand reported earnings Friday morning, but the big news from them was a renewed demand for its refridgeration-trailer units. CEO Herbert Henkel said in a conference call that "The North American market could reach a 19,000 [refrigeration-trailer] unit shipment this year. That's about 1,000 units above our previous guidance last April, but still 29% below 2008 full-year shipments. We find this increase in trailer activity very promising since in each of the previous business cycles, this has been a very, very reliable early indicator of a pending economic recovery." JP Morgan Increasing Banker Salaries - Bloomberg - According to a report from Bloomberg, J.P. Morgan Chase & Co. will raise salaries for some investment bankers to stay in-line with competing firms - BUT it does not change overall compensation. This change is due to take place in 2010 and only affects those bankers that make more than 50% of their compensation in bonuses. The bonus will drop in-line with the raise in salaries. Note - For some reason some of the posts have been posting late, so they have missed the cutoff for the e-mail service. The issue has been reported to Google, and we are working on the problem. Sorry for any inconvenience and for having two days of posts come on one e-mail. Existing Home Sales Rise for 3rd Straight Month, Mortgage Rates Fall - According to a report by the National Association of Realtors, for the third straight month resales of single-family homes and condos rose with June coming in at a 3.6% clip to a seasonally adjusted annual rate of 4.89 million which they said is the highest level since October 2008. The number was higher than expected by most economists that had predicted 4.85 million sales. Inventories of unsold homes dropped to a 9.4 month supply. The NAR stated that for price stabilization to occur an inventory of 7 months would need to be reached. Several analysts have pointed to the fact that the $8,000 tax incentives have spurred home sales, but primarily only on the lower priced homes. According to Bankrate.com, the average 30-year fixed mortgage rate dipped to 5.55% from 5.58% a week ago. The average 15-year fixed-rate mortgage was 4.89% from 4.93% last week. The average jumbo 30-year fixed rate declined to 6.49%. Jobless Claims Rose, Continuing Claims Fell - The Labor Department reported that first-time claims for state unemployment benefits rose by 30,000 to 554,000. Continuing claims for unemployment benefits fell during the week ending July 11 by 88,000 to 6.22 million. A Labor Department spokesman said claims are still volatile due to issues related to automobile plant layoffs. Natural Gas Inventories Rise - According to the Energy Information Administration report, natural gas inventories rose 66 billion cubic feet in the week ended July 17. At 2,952 billion cubic feet, stocks were 568 billion cubic feet higher than last year at this time and 458 billion cubic feet above the five-year average. On a side note, the House passed a bill the instituted R&D into using natural gas for corporate fleets to the tune of $30 million a year, but the Senate has not passed the bill. Considering this is very clean and abundant fuel in the US, you would think that this would become a priority. Stocks Rally Above 9,000 -Stocks rallied Thursday morning sending the Dow industrials above 9,000 for the first time since January. The gains were due to upbeat earnings and news that U.S. sales of existing homes rose for a third straight month in June. Obama May Prove Best Friend Insurers Ever Had - By Margaret Carlson - Bloomberg - "Point a camera and he will come. That’s President Barack Obama’s attitude since returning from a world tour to find his plan to overhaul the U.S. health- care system in need of resuscitation." Partisan Health Care Politics - By David Brooks & Gail Collins - The New York Times - "Yes, the Republicans always scream 'Rationing!' but it would be nice if there was some rationing in the Democratic bills." - "Why do Republicans insist on throwing up barriers when it comes to increased efficiency?" Petroleum Inventories Rise Again - the EIA report on total petroleum inventories showed a continued rise from last week adding to what already is a 19-year high. Crude inventories fell by 1.8 million barrels in the week ended July 17. Gasoline inventories, however, rose 800,000 barrels, and distillate stockpiles gained 1.2 million barrels. Total petroleum inventories increased by 1.9 million barrels and stayed above the upper limit of the average range for this time of year. After the data, crude oil futures fell about 1.6% to around $64.50. SEC Wants Rating Agencies to Register - According to the SEC, Congress should approve legislation that would require credit rating agencies to register and open up their books to the Securities and Exchange Commission. "This would be a significant step forward in making sure that this sector of the market is brought under regulatory oversight without the danger that some credit rating agencies may fail to register in order to avoid regulation," said SEC Chairman Mary Schapiro in testimony to lawmakers at a House Financial Services Committee. Apple's iPhone Bolsters Earnings - Apple sold 5.2 million iPhones in the quarter, more than seven times what it sold a year earlier, as it released a new version of the iPhone and halved the price on an older model to $99. Revenue from the iPhone business tripled to $1.69 billion. The only real downside to the report was that iPod sales dipped 7% versus last year. With the rise in the iPhone though, it is hard to imagine that those sales have not cut into the iPod sales. For its fiscal third quarter ended June 27, Apple posted a profit of $1.23 billion, or $1.35 a share, compared with $1.07 billion, or $1.19 a share, a year earlier. Revenue rose 12% to $8.34 billion from $7.46 billion. Home Prices Rise in May - According to a report from the Federal Housing Finance Agency, home prices rose 0.9% in May and fell 5.6% over the past year. Prices rose in five out of nine regions and fell in four. April's decline of 0.1% was revised to a drop of 0.3%. Only a few short notes this morning as the big story is Fed Chairman Ben Bernanke's Op-Ed piece in The Wall Street Journal that is linked in our "Articles" section below. Coca-Cola Profit Beats Estimates - Coca-Cola reported Tuesday morning that its second-quarter profit rose 43% to $2.04 billion (88 cents a share) versus $1.42 billion (61 cents) in the same period last year. Excluding one time charges, Coke would have earned 92 cents versus the analysts estimates of 89 cents. Additionally, unit case volume rose 4%. On the down side, revenue dropped about 9% to $8.27 billion. Bernanke Testifying - Fed chairman Ben Bernanke stressed that the central bank has the tools it needs to conduct rate policy, but gave little clues how the tool would be used over the next six months. In testimony to the House Financial Services committee, Bernanke said that rates would stay at historic lows for an extended period due to low inflation over 2009, 2010, and 2011. He spent the majority of the testimony describing how the central bank was confident that it could smoothly tighten policy when needed. Bernanke also defended the Fed from Congressional critics. He asked members to reject a bill that would give the GAO more oversight over the Fed's market operations. Bernanke stated again that the moves last fall may very well have averted a complete financial market collapse. He went on to say that The Fed sees a gradual recovery in 2010 accelerating into 2011 with high unemployment over that term. The Fed’s Exit Strategy - By Ben Bernanke - The Wall Street Journal - "The depth and breadth of the global recession has required a highly accommodative monetary policy. Since the onset of the financial crisis nearly two years ago, the Federal Reserve has reduced the interest-rate target for overnight lending between banks (the federal-funds rate) nearly to zero. We have also greatly expanded the size of the Fed’s balance sheet through purchases of longer-term securities and through targeted lending programs aimed at restarting the flow of credit...."
Leading Economic Indicators Rise - The Conference Board reported Monday the at the US index of leading economic indicators rose 0.7% in June which was higher than the expected rise of 0.5%. June's reading marked the third straight month the index has risen. CIT Gets $3 Billion Deal to Avoid Bankruptcy - CIT Group reached a $3 billion rescue-financing agreement with key bondholders that will allow the business lender to avoid bankruptcy and restructure outside court, according to a media report Sunday (to be announced Monday per The Wall Street Journal). The news followed reports over the weekend that CIT had been trying to negotiate rescue financing with a group of bondholders to avoid filing for bankruptcy that could have taken place on Monday. A report by Dow Jones Newswires, also citing unnamed sources, said the plan being considered would involve new funds for CIT instead of a rollover of existing debt. Iceland Has a Bank Recapitalization Plan - Iceland's government announced Monday it will recapitalize its three leading banks at a cost of 270 billion Icelandic kronur ($2.1 billion). Islandsbanki, New Kaupthing and New Landsbanki were started in the wake of the collapse of the main Icelandic banks last October. Iceland was in such disarray that it eventually was forced to seek a bailout from the IMF. Europe Thumps U.S., Again - The Wall Street Journal - "On present trends, most of Europe will soon have lower income tax rates than most of America. And now the European Union is stealing another competitive march on Washington, this time on a free trade deal with the world's 13th largest economy, fast-growing South Korea." Costs and Benefits - The New York Times - "Democrats pushing for health care reform got serious jolts last week from critics who warned that their proposed legislation would do little to slow spiraling health care costs." What's Up, Docs? - The Wall Street Journal - "'In general, the proposals under discussion are not patient focused or results oriented. . . .'"
When I entered the Colony Square parking garage that day, there were almost no cars parked on the top level. I suppose all of the above is reflective of the slow, hazy days of summer. Because of vacation schedules, there aren’t many people actually working, and due to the heat, I suspect people’s thoughts are absorbed by taking a holiday. If you haven’t noticed, we’ve recently had a major stock market rally. Perhaps the lack of news is positive for once. As I write this post, the Dow Jones Industrial Average is up a cool 7%. I’m not talking about the Dow’s performance for the year; I’m talking about for the week. Since the Dow bottomed on March 9, 2009, the index has gained an astounding 33%. The Standard & Poor’s Index of 500 Stocks is also up a sterling 5.8% for the week. Since the S&P’s bottom on March 9, 2009, that index is up an incredible 37%. There’s no question that the true stellar index so far in this rally has been the NASDAQ Composite. This week, the NASDAQ has gained 7.3%, and since its bottom on March 9, 2009, it is up an amazing 49%. While most Americans have been planning their summer vacations, there’s been a stealthy rally going on; most people haven’t even noticed it. The markets are not gaining because the economy has recovered. Rather, the markets are gaining because they anticipate the economy’s recovery. As I’ve often said, the stock market doesn’t need to see the economy improve – it only needs to see it quit going down. Today we have the evidence to prove that the economy has finally stopped going down. During Thursday’s trading day, Nouriel Roubini, a long-time gloom and doom forecaster, proclaimed that the U.S. economy would be out of recession before the end of 2009. The market moved up a small amount with that surprising reversal proclamation. Later in the day, there must’ve been too much positive news for Dr. Roubini, and he reversed his position, indicating that he’d been misquoted. He then said that the U.S. economy was in a 24-month recession that he anticipated would not end until the end of 2010. Notwithstanding his complete 180-degree change in economic forecasting during the course of the day, we should examine his other economic forecasts. If you read my post from May 16th titled “The Most Important Stock Market Week of the Year!” wherein I discussed the famous doomcasters, Dr. Roubini and Paul Krugman, you’ll see that both of them were forecasting a complete seizure by the U.S. government of all banking institutions. Both indicated that there would be no way for the banking industry to survive without the full and complete seizure of the banks by the U.S. government. In the last three days, CitiBank has reported a profit of $4.3 billion for the quarter, Bank of America earned a tidy $3.2 billion, and J.P. Morgan Chase earned $2.7 billion. I suppose the economic reality of positive financial results completely contradicts these doomcasters’ forecasts. Just as I predicted in my “2nd Quarter Financial Review” post on July 2nd, banks are reporting blow-away profits. It’s often said that an investor would be ill-advised to ever discount the U.S. economy. It seems that these noted economists have discounted it, and therefore, their forecasts should also be discounted. In Friday’s edition, The Wall Street Journal had a detailed analysis of J.P. Morgan’s earnings for this quarter, including information regarding loan losses. For example, they reported that non-performing assets at June 30th were $17.5 billion as compared to $6.2 billion one year ago. “Non-performing assets” is a bank term that doesn’t necessarily mean that the assets are bad, but that the holder of those assets is not currently paying interest. In fact, a vast majority of these loans will be later recovered. You may rest assured that none of these loans are uncollateralized, and even if the collateral has been reduced by 50%, the bank is more than likely going to collect at least half of the non-performing amounts. One might assume that this would be a worrisome sign for the banks, but as mentioned before, the accountants have already provided for this potential liability. The article also pointed out that later in the quarter, J.P. Morgan set aside an additional $1.8 billion reserve for future credit loss reserves. With this addition, it brings the total reserves for future bad debts to $30 billion. Assuming that non-performing assets were 50% bad, which I consider to be ridiculous, it would mean a potential loss of $10 billion on these non-performing assets. The bank has already provided a reserve three times as high as the potential losses on non-performing assets. I will also forecast that in the coming year, we’ll see these banks start to reverse these over-exaggerated loan loss reserves and return them to income. My analysis of these particular numbers is that J.P. Morgan Chase has excess reserves close to $15 billion against loan losses. As these amounts return to income during 2009, the financial press will express amazement at the profits suddenly earned by the banks. In fact, it will only be an accounting sleight of hand where it will appear that profits were generated at that point when they were, in fact, generated now. You have to love the way the government pulls accounting sleights of hand. Even though California is technically bankrupt, they are still continuing to try to balance their budget for the fiscal year that started July 1, 2009. One incredibly creative means they’ve used to balance the budget is by changing the date of their payroll. By changing the June 30, 2010 payroll to July 1, 2010, that payroll is not included in the 2010 budget. It’s amazing how California just saved half of a billion dollars by moving its payroll out one day. Profits reported this quarter through the first two weeks of the reporting season have been nothing short of “breathtaking.” Goldman Sachs, a company that was previously forced to take TARP money, reported record profits during the quarter. “Record profits” is a term that is used too often, but to put Goldman Sachs’ situation in context, they reported earnings higher during this quarter – in the middle of a recession – than they have ever reported in their entire history since going public. In addition to Goldman Sachs, Intel reported blow-away profits along with IBM, and of course, the aforementioned banks. Profits have so far been nothing short of staggering given the so-called backdrop of an economic recession. I told a client yesterday that I felt the need to write a blog on why the public is missing the correlation between unemployment and corporate profits. One of the beauties of technology today is that a manager who knows how to use it can adequately forecast upcoming trends. You’ll recall the gigantic layoffs that were announced over the last few years. During 2008, businesses were making significant personnel layoffs in order to cut costs. From an accounting perspective, they recorded the full cost of the layoffs immediately, even though some of the employees do not leave for weeks, months or sometimes years. Therefore, the layoff costs have occasionally been reported in prior years. Businesses are as lean and mean as they have ever been. Without the additional payroll costs and because of other cost-cutting moves by corporations, they are able to report record profits. The good and the bad of this is, of course, that the corporations have record profits, but many Americans are without jobs. It is somewhat ironic that we celebrate the success of the corporations to the detriment of the people not employed. However, that’s the basis of capitalism, a concept we used to cherish in this country. It’s often said that unemployment is a lagging indicator and is the last to turn up. The reason for that should be quite obvious: Corporate employers will continue to operate as lean as possible until the very last second. They’ll refuse to hire more personnel until they’re positive an economic recovery is at hand. Employers will first work their employees more hours and even overtime to get productivity up. They’ll use technology and better computer applications to avoid hiring personnel. It will be a significant amount of time before we start seeing employment start increasing. It now appears that the employment base has stabilized, so it should be running on a replacement basis for six to eight months. I would not expect any significant improvement in the unemployment rate until at least this time in 2010. I have been reading the daily articles written on the ridiculous national health plan as proposed by the Democrats in the House of Representatives. In fact, I dedicated an entire post on the subject (“Healthcare Relief without Universal Health”). However, yesterday’s events illustrate how completely out of touch Congress is when it comes to the business world. Yesterday, the House of Representatives pointed out their potential bill for revolutionizing the health insurance industry in America. I will not bore you will all the details, especially since many of them will be changed before the bill gets its final vote. The bill does contain information on how the cost of the plan is to be financed. One of the proposed changes will be a major hit to the U.S. economy during a time when it certainly does not need additional taxes. What is even more interesting is that we have long been told by the administration and Congress that the proposed changes would bring down health costs, and that the plan would be neutral. Yesterday the Congressional Budge Office reported that the cost savings were just an illusion. Under the proposed plan, health costs would actually increase. Mr. Elmendorf, director of the independent and non-political Congressional Budget Office, told the finance committee, “In the legislation that has been reported we don’t see the sort of fundamental changes that would be necessary to reduce the trajectory of federal spending by a significant amount. And on the contrary, the legislation significantly expands the federal responsibility for healthcare costs.” Therefore, we know that nothing in the proposed plan will reduce costs. Speaker of the House Nancy Pelosi said yesterday afternoon that she would squeeze more costs out of the system. By “squeezing more costs out of the health system,” she means fewer services provided by medical institutions. Essentially, the government will pick and choose what medical procedures you need to have and what they’re willing to pay for them. It’s very clear that there will become a rationing of medical services, but the ultimate question is who will be deciding which services are rationed. Will that be you, or will that be the government? If you’re paying $5,000 to $6,000 per year, per employee for medical insurance, and the average employee in America makes $40,000, an 8% premium for this government-provided insurance would be $3,200. I anticipate the vast majority of all employers will gladly choose to get rid of the headache of providing healthcare for their employees and instead take a guaranteed 8% premium in the form of payroll taxes. I anticipate that within five years, there will be only one insurance company in the United States, and it will be the one run by our own government. In addition, there’s a 2.5% tax on all individuals who do not buy medical insurance and who are not employed by someone, meaning that the self-employed would pay a 2.5% tax to get medical insurance. I can assure you that every self-employed individual in America would gladly pay 2.5% of their income to get medical insurance and avoid the hassle of finding an individual policy. The logical question to all of this is how everyone’s cost of insurance can go down from where it is today with this sort of plan. Employers will be paying less, the self-employed will be paying less and yet we would supposedly be covered by a fully adequate, government-sponsored medical plan. It doesn’t take a rocket scientist to see that any proposed plan will be heavily subsidized from your tax dollars. Since only 50% of the U.S. population pays tax anyway, the full burden of the taxes to pay for this medical insurance will be assessed to only half of those who are receiving benefits. Duh?!?! Am I missing something here? Also, the above provisions will dramatically change the perception of how employers will employ people. Take an industry where virtually no one is currently providing medical insurance – the restaurant industry. In that industry, the vast majority of employees are young and healthy individuals who have no desire to purchase their own medical insurance. Now the employer is faced with the legal obligation to provide medical insurance, whether or not the employee wants it. Under the universal healthcare plan, you would be obligated to pay Social Security tax for that employee at 7.65% the very first day an employee is on your payroll. In addition, the employer would have to pay 3.2% Federal and State unemployment and the 8% government-mandated percentage on health insurance. Therefore, the first day on the job for a new employee, the employer is obligated to pay 18.87% in some form of matching taxation on this employee. There are very obvious conclusions that will be reached by employers. The first and most important is that they’re going to hire everyone more slowly, which is the last thing this economy needs now. Remember that for every dollar you pay an employee, you’re paying almost 20% additional for these social services. This one act alone will make the recovery of employees working in America very slow. No employer is going to incur this cost without a lot of thought and evidence that the economy has recovered. I’m sure none of you are concerned with how the government is going to efficiently run their proposed healthcare system. The Wall Street Journal reported on Friday morning that only one month after the United States became the principal shareholder in General Motors and Chrysler Group, LLC, our Congress is now interjecting in the business. Even though both of these companies eliminated 3,200 dealerships to cut costs so that they would to improve profits to pay back the government, Congress has already voted to have all 3,200 dealerships reinstated. I cannot even imagine what Congress will do once they get control of the healthcare system in the United States! You may also recall that it was said there would be no tax increases on anyone making less than $250,000 under the new proposals. If anyone really believes that this is not a tax increase, then they really don’t understand business dynamics. Since the employer is going to be required to pay this extra 8% cost that they have never been required to pay before, where do you really think this money is going to come from? It will come dollar-for-dollar out of the payrolls of future employees. A clearer example of an indirect tax could not be better illustrated. Whatever your thoughts are about former Georgia governor and U.S. senator Zell Miller, you must admit that he is somewhat amusing. He gave a speech recently to the American Legislative Exchange Council, wherein he remarked, “Today, we’re spending like we’re Paris Hilton, regulating like we’re Ralph Nader, nationalizing like we’re Hugo Chavez, printing money like we’re the Weimar Republic, and taxing like we’re well, the Democratic Congress.” Although Zell continues to be a member of the Democratic Party, he is clearly not in step with the current Democrats in Washington. I’ll always be grateful to Zell Miller for one thing – against overwhelming odds, as Governor he was able to get the Georgia Lottery through a conservative and backwards Georgia legislature. Regardless of your feelings on the lottery, it has made affordable education for every student in the State of Georgia that desires an education and is willing to work for it. Due to the Georgia Lottery program, universities in Georgia now have more applications than they can even process. It was a bold move on his part, and in retrospect, it’s done a great deal of good for many Georgia kids seeking a higher education. I hope you had the opportunity to watch some of the Congressional hearings this past week with former Treasury Secretary Paulson. This country needs to get a grip on how poorly educated and uninformed our Congress really is. I would think that in civics classes around the world, they are pointing out the complete illiteracy of our Congress regarding financial matters. If we learn nothing else from this economic crisis, we need to elect representatives that have more than a few IQ points to rub together. Zell Miller’s statement above sums up how things are going in Washington today. As I’ve mentioned on numerous occasions, our government’s incredible mismanagement gives me great optimism that new legislators with better financial constraint and an understanding of economic reality will shortly be elected. As always, the foregoing are just my opinions, and of course, I could always be wrong. BofA, Citi Quarterly Report - Bank of America and Citigroup both reported earnings on Friday morning. BofA reported that it earned $3.2 billion (33 cents a share) in the second quarter compared to $3.4 billion (72 cents) a year ago. Most analysts had expected 28 cents a share for BofA. Also, this quarter BofA was able to realize several one time gains from different capital raising moves. BofA also said this morning that they had made $110.6 billion (1.23 billion per day) in first mortgages during the quarter. Of the number, 71% were for refinances and 29% were for home purchases. Meanwhile, Citigroup reported a second quarter profit of $4.3 billion (49 cents a share). This included an $11 billion pre-tax gain from its joint venture with Smith Barney. Analysts had predicted the company to lose 37 cents a share in the quarter. Revenue in the quarter was $30 billion. Housing Starts Go Up Again - Construction of new housing rose for the second straight month according to the Commerce Department report released Friday. Starts rose 3.6% in June to a seasonally adjusted 582,000 annualized units. This is the highest number since November 2008. Starts of new single-family homes rose by 14.4% to 470,000 in June, while starts of large apartment units fell 29.4% to 101,000. Building permits, a leading indicator of housing construction, rose 8.7% to a seasonally adjusted annual rate of 563,000. GE Posts Quarterly Report - General Electric reported second-quarter net income of $2.67 billion (24 cents a share) versus $5.07 billion (51 cents) last year. Revenue came in at $39.08 billion which was below expectations of $41.66 billion. Also, CEO Jeff Immelt stated that GE was still in the midst of raising cash. "With the dividend reduced from $6.7 billion to $2.3 billion...we'll save $13 billion of cash in '09 and '10," he said during a conference call with analysts. "I would say we're ahead of plan here with very solid prospects for the rest of the year." In my “Issues on My Mind” post from July 1st, I expressed my concern regarding the new Cap-and-Tax bill (formally titled the “American Clean Energy and Security Act”) recently passed by the House of Representatives. The more I thought about the complexity of the bill, the more I wondered whether members of Congress had actually read the 1,300 page proposed bill. As you can see, I requested a response by July 15th, indicating that I would assume they had not read the entire bill before casting their vote if I did not hear back from them. Interestingly, out of the 13 Congressman to whom I wrote, I received one response – from Representative Lynn Westmoreland’s office. The staff member who called me stated that they received the proposed bill two days prior to when it went to vote, and he further acknowledged that Representative Westmoreland had not read the bill personally, but that his staff members had read it on his behalf. Representative Westmoreland voted “No” on the bill. Here’s a link to his press release on the subject if you’re interested in reading it - Press Release. You can think whatever you want about the unresponsiveness of the other members of Congress. However, I think it’s somewhat scary that four Georgia Congressmen voted “Aye” to a bill that will have such a major effect on all Americans when they likely never bothered to read it. Intel Powers the Market and Optimism - "While the global economic environment is still recovering, our customers signaled increased confidence for a seasonal second half with their ordering patterns," Intel Chief Executive Paul Otellini said in a call with analysts. "From a consumption perspective, consumer purchases led the way." I don't believe that you can speak in much plainer English. Intel reported a net loss for the second quarter, but that was due to a fine imposed by the European Union. The total charge due to the fine was $1.45 billion. The company's reported adjusted earnings actually exceeded expectations. And in its first formal outlook in two quarters, Intel said it expects third-quarter revenue to come in better than estimates as well. CPI Rises in June - The Labor Department reported this morning that the Consumer Price Index (CPI) rose a seasonally adjusted 0.7% in June in-line with expectations with gasoline prices the driving force. The core CPI, does not include the highly variable food and energy prices, rose a seasonally adjusted 0.2%. The CPI has fallen 1.4% in the past year, the sharpest decline since January 1950. Capital One Moves on a Drop in Delinquencies - Capital One reported today that the rate of its accounts 30 days or more delinquent dipped modestly to 4.77% in June from 4.9% in May. This sparked a rally of more than 7% in the stock. As Inflation Worries Rise, So Does Gold - It was just a few days ago that everyone was talked about deflation, but you get a few economic reports, and now the talk is of inflation. Gold futures rose almost $16 to about $939 after positive comments by Intel and Wednesday's CPI report. Gold is at its highest level in two weeks. Dollar Falls, Oil Rises - As optimism in the global market and economy improve, the dollar fell (it is seen as a safe haven). The CPI report, a NY manufacturing report that showed an increase, and a good earnings report and projection from Intel have fueled the growing optimism and put a halt to the dollar's rise. Both the euro and the British pound rose against the dollar in today's trades. Oil meanwhile gains when the dollar falls, so the drop in the dollar and a surprising drop in gasoline inventories helped move crude up. Oil moved back above $60 and was up more than 2% today, but it is still down more than 13% this month. Retail Sales Beat Expectations - The Commerce Department released a report this morning that showed June retail sales rose 0.6% in June for the highest reading in five months. Strong auto and gasoline sales offset weakness in many sectors. Most economists had predicted a rise of 0.5% for the month. PPI Rises for June 1.8% - The Labor Department released a report this morning that showed the June Producer Prices Index (PPI) rose 1.8%. This marked the largest jump in the PPI since November 2007. Excluding food and energy prices, the PPI rose 0.5% in June. Most economists had expected a rise of 1.2% in the PPI. Goldman Sachs Posts Profit - Goldman Sachs said on Tuesday that its second quarter net income rose to $3.44 billion, or $4.93 a share, compared to $2.05 billion, or $4.58 a share a year ago. Most analysts had expected the company to earn $3.54 a share in the quarter. Inventories Drop in May - The Commerce Department reported this morning that business inventories fell 1.0% in May. Included in the report, retail inventories fell 1.6% in May highlighted by the largest drop in autos in almost four years. Most economists are predicting that the decline in inventories will moderate during the second half of 2009 which will be a positive to GDP growth. Looking historically, inventories are down 8.0% year over year, and business sales are down 17.8% year over year. OPEC Overproduced in June - OPEC released a report that showed that its members had increased oil production in June for a third straight month. June production rose to 28.441 million barrels a day from 28.402 million barrels a month ago. Production from the 11 members bound by quotas, not including Iraq, rose to 26.027 million barrels a day. Only 72% of the quotas put in place by OPEC are being followed. Fed Continues Purchases of Treasurys - The Federal Reserve bought $7.5 billion in Treasurys maturing between 2011 and 2012 on Tuesday. Dealers offered $14.73 billion to be purchased. The operation is the first of two this week from the Fed. Decline in Gasoline Prices at the Pump - With the drop of oil comes one very nice benefit (eventually), a drop of prices at the pump. Average retail regular gasoline prices fell to $2.53 a gallon on Monday, down a penny from the previous day, according to the AAA Daily Fuel Gauge Report. A quick look at past prices - 1 week ago - $2.61; 1 month ago - $2.65; and 1 year ago - $4.10. As Oil Falls, So Does Gold - Inflation has always been one of the main drivers fueling moves in gold, and the current market is no different. With inflation worries dwindling, especially as oil falls again today below $59 a barrel, gold fell another $4 this morning. Goldman Sachs Gets an Upgrade - Financial stocks were fueled this morning in part by an upgrade of Goldman Sachs to a price target of $186 by Meredith Whitney Advisory Group. The target price represents a 31% premium on Friday's closing price. BofA - Looks to Not Pay Fees and Analyst Says They Will Post a Profit - For the second time, another analyst said Bank of America will report better than expected earnings Q2. Barclays Capital came out on Monday and said they expect BofA to report a second-quarter profit as a result of better-than-expected results in capital markets and continued strength in mortgage banking. Analyst Jason Goldberg lifted his estimate to a profit of 10 cents a share versus the previously forecasted flat quarter. Also, BofA is reportedly seeking to avoid paying potentially billions of dollars in fees to the U.S. government. The government claims are tied to an unsigned agreement to provide backstop guarantees of Merrill Lynch assets, according to a Bloomberg report citing people familiar with the negotiations. BofA says no agreement was ever signed with the federal government in the matter and the backstop funding wasn't used. But U.S. authorities believe it should pay at least part of the $4 billion fee agreed in January, the report said. Regulators contend that even without completed legal documentation Bank of America benefited from the implied U.S. backing on about $118 billion of Merrill Lynch assets. Sen. Alexander - 100 New Nuclear Plants - Senator Lamar Alexander (R-TN) said Monday he supports construction of 100 new nuclear power plants in 20 years. Alexander said the 100 nuclear plants would double U.S. electricity production from nuclear power in 20 years, making it about 40% of all electricity production. "Add 10% for sun and wind and other renewables, another 10% for hydroelectric, maybe 5% more for natural gas and we begin to have a cheap as well as clean energy policy," he said. Alexander said his measure would create more jobs than the Democratic Waxman-Markey bill. Democrats For a Flat Tax? - By Joe Mathews - The Wall Street Journal - "Karen Bass is an unlikely tax cutter. She's the Democratic speaker of the California State Assembly, a fierce defender of the labor movement, and an advocate for repealing a constitutional provision that requires that tax increases pass the state legislature with a two-thirds majority. But as California faces a budget crisis that defies efforts to resolve it, there is a woman-bites-dog story developing with Ms. Bass at its center. By the end of the month, a commission she pushed to create is expected to recommend that the state adopt a flat (or at least flatter) personal income tax and cut or repeal corporate and sales taxes." California v Texas: America's future - The Economist - "America's recent history has been a relentless tilt to the West—of people, ideas, commerce and even political power. California and Texas, the nation’s two biggest states, are the twin poles of the West, but very different ones. For most of the 20th century the home of Silicon Valley and Hollywood has been the brainier, sexier, trendier of the two: its suburbs and freeways, its fads and foibles, its marvelous miscegenation have spread around the world. Texas, once a part of the Confederacy, has trailed behind: its cliché has been a conservative Christian in cowboy boots, much like a certain recent president. But twins can change places. Is that happening now?" Tangled Trade Talks - The New York Times - "There are few things that could do more damage to the already battered global economy than an old-fashioned trade war. So we have been increasingly worried by the protectionist rhetoric and policies being espoused by politicians across the globe and in this country." A "New Beginning" for GM - "Today marks a new beginning for General Motors, one that will allow every employee, including me, to get back to the business of designing, building and selling great cars and trucks and serving the needs of our customers," said CEO Fritz Henderson. In his comments, Henderson said the new GM will focus on customers, cars, and culture as a way to regain a foothold and build for the future. Henderson also wants the company to repay loans "much sooner" than the due date with the hope of a new GM IPO as early as next year. Prior to the IPO, the U.S. government would own 60.8%, the Canadian government 11.7%, the United Auto Workers retiree trust 17.5%, and 10% to the old GM bondholders. Surprisingly, Trade Gap Narrows - Q2 GDP Positive? - The Commerce Department reported Friday morning that the U.S. trade deficit narrowed by 9.8% in May to $25.96 billion which is the lowest deficit since November 1999. The decrease in the deficit was completely unexpected especially when most analysts had predicted the deficit to widen. Exports rose while imports declined in May. The U.S. trade deficit with China narrowed to $17.48 billion in compared with $21.36 bln in the same month last year. The government also revised the deficit in April to $28.8 billion from $29.2 billion. On this news, Q2 GDP could turn out to be positive due to the downward revision of the deficit in May and June's surprise reading. According to a note from the economic team at RDQ Economics, "The narrowing of the average real trade deficit in the first two months of the quarter versus the first quarter...puts trade on course to add as much as two percentage points to second-quarter real GDP growth. We think that a drop of 0.5% rather than 1.5% in the second quarter is now a central forecast for GDP and there is a significant possibility that real GDP could actually grow slightly in the second quarter, which would further add to our view that the recession ended last quarter." July Consumer Sentiment Falls - According to the University of Michigan and Reuters survey, U.S. consumer sentiment fell in early July to 64.6 from 70.8 in June. Most economists had expected a only a slight drop in the reading. Gold, Oil Down, Dollar Up - Continuing in the on-going push-pull of the dollar, the dollar staged a rally today which put pressure on gold and oil. Gold fell about $9 to $907 for a loss of about 2.5% this week. Oil is down about $1.50 to below $59 a barrel, and it is on pace for a weekly loss of 12%. Analysts Increase Earnings Predictions for BofA - On Friday morning, analysts from J.P. Morgan upwardly revised their 2009 earnings estimates for Bank of America one week before BofA announces its results from the second quarter. For Q2, J.P. Morgan now expects BofA to report earnings of 38 cents a share versus the previous estimate of a loss of 3 cents a share. Full-year 2009 earnings were also revised higher to 78 cents versus 21 cents a share. The "messy" report will have several one time items and charges but will get a boost from the $4.5 billion gain on the sale of China Construction Bank (CCB), along with a $1.2 billion gain on merchant processing joint venture according to the report. Q2 has been a busy quarter for BofA with several asset sales, debt offerings and restructurings, and stock offerings to raise more than the required capital in wake of the U.S. stress tests. Jobless Claims Drop to Lowest Since January - First-time claims for state unemployment benefits fell in the latest weekly data, after seasonal adjustment, while continuing claims hit a record high, the Labor Department reported Thursday. The number of initial claims in the week ending July 4 fell 52,000 to 565,000 - the lowest level since January - as the manufacturing layoffs, predominantly automotive, that had been expected have already occurred at some companies, according to the Labor Department, which added that some seasonally expected layoffs may come later or not at all. The four-week average of initial claims fell 10,000 to 606,000. For the week ending June 27, the number of Americans receiving state jobless benefits rose 159,000 to 6.88 million. The four-week moving average of these continuing claims rose 12,000 to a record 6.77 million. The insured unemployment rate, which represents the portion of all workers covered by unemployment insurance who are collecting benefits, rose to 5.1% from 5%. Mortgage Rates Fall - Lowest Level in 6 Weeks - According to Freddie Mac's weekly survey of conforming mortgage rates, rates fell again this week, with the 30-year fixed-rate mortgage dropping to its lowest level in six weeks. The 30-year fixed-rate mortgage averaged 5.20% for the week ending July 9 versus last week's 5.32% average and 6.37% a year ago. Rates on 15-year fixed-rate mortgages also fell to 4.69% for the week versus 4.77% last week and 5.91% a year ago. Natural Gas Inventories Rise - Natural gas inventories rose 75 billion cubic feet in the week ended July 3 to reach 2,796 billion cubic feet, the EIA reported Thursday. Natural gas futures rose 6.8 cents (2.1%) to $3.421 per million BTU. At the current level, inventories were 601 billion cubic feet higher than last year at this time and 452 billion cubic feet above the five-year average. Fed Buys $3 Billion in Treasurys - The Federal Reserve bought $2.999 billion in Treasurys maturing between 2010 and 2011 on Thursday, the second of two buyback operations this week. Dollar Falls, Gold, Oil Up - The dollar fell this morning after the jobless claims data showed some improvement, and on the news, gold and oil moved higher initially. Gold has continued to trade higher this morning (up about $5 to $914) on the weaker dollar, but oil has now pared its gains, and it is sitting virtually for the day at $60. Global Recession is Ending - IMF - The global economy is beginning to pull out of recession but the recovery is expected to be sluggish, according to the latest economic update from the International Monetary Fund (IMF) released Wednesday. The IMF raised its forecast for growth in 2010 to a 2.5% rate, which is higher than the 1.9% growth rate forecast in April. There is much less concern about systemic failure in the financial system. A gradual recovery in the U.S. seems on track, the IMF said. Japan is stabilizing after a dismal first quarter. Growth in the euro-area is expected to strengthen more slowly than elsewhere. Inflation pressures remain low, the agency said. Risks for sustained deflation are small. Loan Growth in China Rises - New loans surged to 1.53 trillion Chinese yuan ($223.9 billion) in June, a dramatic increase from 664.5 billion yuan in May, the People's Bank of China reported on its Web site on Wednesday. This brings aggregate new lending in 2009 to 7.37 trillion yuan, up 201% year-over-year from the first half of 2008. Gold, Oil Fall - Gold fell Wednesday morning to $916 which is the lowest level in two months as other commodities dropped as well reducing the metal's "hedge" against inflation. A stronger dollar, increased gasoline inventories, and predicted stagnate demand sent oil prices down for a sixth straight day to below $62 a barrel. GE Works on "Smart Grid" Technology - General Electric said it reached a strategic agreement for an undisclosed price with privately held smart grid technology firm Tendril. Tendril and GE plan to "develop an integrated and interoperable system that will enhance GE's demand responsive appliances capability to communicate over metering and broadband networks," the companies said. We Have 248 Million Reasons to Expect Recovery - By William Pesek - Bloomberg - "What in the world are Indonesians thinking? It’s hard not to wonder when the nation’s consumer- confidence index in June rose to its highest in more than four years. As the global economy reels, folks in Asia’s third-most- populous nation are brimming with optimism and poised to increase spending..." "As odd as it sounds, Milton Friedman, were he still alive, would probably find more to like in Indonesia than in America."